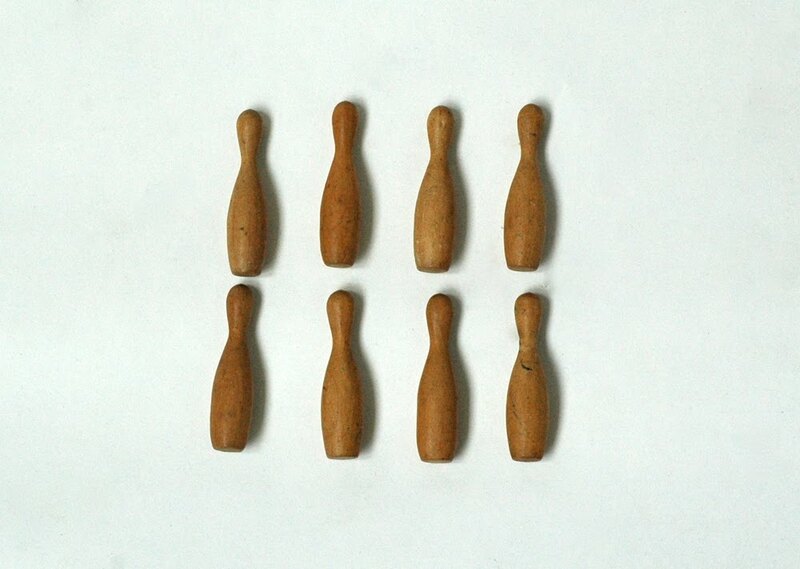 Miniature wooden bowling pins (part of larger miniature toy collection). Yes! More toys! Where do you keep all this stuff? !